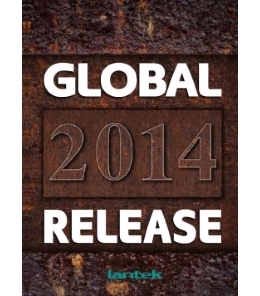 Lantek, world leader in the development and marketing of integrated CAD/CAM/ERP solutions for the machine tool industry, recently unveiled its new 2014 portfolio. The portfolio includes innovative improvements in CAM 2D and CAM 3D solutions, manufacturing management, and mechanisms for integration which, together, facilitate the user´s experience, reduce the time and materials required for manufacturing, and increase the options for integration with the more established CAD solutions on the market. "Lantek has the largest software portfolio in the industry and can offer a comprehensive solution, in an advanced and technological environment, for every function and department of a company. The ultimate goal is that everything that happens in the company is available for management and monitoring in real time, with integrity and guaranteed access capability. In short, we provide innovative solutions that significantly simplify the processes within a company," explains Alberto Martínez, Director General of Lantek. Not surprisingly, one of the core commitments of the Miñano-based company is to update and reformulate its technological solutions, when necessary, in order to meet the design, nesting, machining and manufacturing needs of companies in the metal processing industry. Its dedication has yielded results, since there are now more than 14,000 customers around the world using Lantek technology. Lantek 2D CAM solutions include improvements in the nesting workspace parts display panel and the settings for geometry importers that can be used to automatically select the technology required according to the type of contour and show the overlap in the punching machining. Lantek continues to innovate its formulation of the nesting algorithms that lead to increased business productivity, with new options that include: defining ranges by thickness, destruction of holes, and improved drilling and overlap technology. Additionally, the multinational software company has strengthened its technological capacity to handle the latest generation of machines, such as fiber-optic laser cutting machines and machines combined with milling. The new Lantek portfolio also includes advanced CAM 3D for specialized machining of tubes and pipes, significant improvements for efficient use of material and for selection of nesting criteria and preparation of tubes and beams. Lantek Flex3d solutions add flexible management of instructions and different cycle types for machining parts on flat or curved surfaces, among other new functionalities in the 2014 catalogue. Another axis of the technology offering developed by Lantek is the set of functionalities and solutions for manufacturing in the workshop environment, grouped under the Lantek Workshop range (Lantek Manager, Lantek Wos and Lantek Workshop Capture). The 2014 catalogue includes improvements in material and cost management, with material price calculation according to thickness range and format, automatic updating of material price based on purchase history and advanced calculation of time for operations without cuts, among other innovations. Furthermore, Lantek has enhanced its real-time workshop monitoring functionalities, with detailed monitoring of machine workloads and direct communication solutions between the factory and office, as well as other improvements. One of the hallmarks of the Lantek technology identity is its versatility and compatibility with all the solutions implemented in the metal industry. The Lantek Flex3d Addins product provides enhanced integration with the most popular CAD software solutions on the market, such as: Solid Edge, Autodesk Inventor and Active Job. 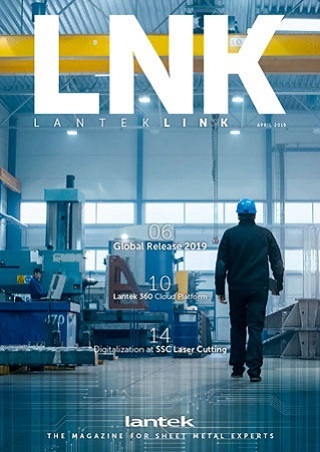 Additionally, Lantek has expanded its Masterlink integration mechanism options for managing imported parts during the nesting process and offers a full catalogue of online services through its powerful API Avantiaservices, for the integration of production and the inventory. "Not only do we provide the technological tools necessary for our customers´ production processes, we also develop management and improvement programs which are applied to our technology to optimize the performance and efficiency of the software we sell. Companies benefit from the full potential offered by Lantek, when completely adapted to their technical and productive needs and specificities. Our technology is capable of mimicking the way each company works and of bringing innovation to our customers´ processes. In this way, they are able to reach maturity in their management at the same level as the leading companies in the industry," says Alberto Martinez. Lantek is a leading global multinational in the development and commercialisation of software solutions for the sheet metal and structural steel industry. Its capacity for innovation and its firm commitment to internationalisation and the development of emerging markets has led Lantek, founded in 1986 in the Basque Country and with head offices in Vitoria-Gasteiz (Spain), to become a global reference in the industry with its CAD/CAM/MES/ERP solutions. Today, the company has over 14,000 clients in more than 100 countries, offices in 15 countries, and a wide network of distributors providing worldwide coverage. In 2013 its international operations provided 85% of its turnover.